For some time now, small aircraft pilots who don’t have access to expensive ~$1000+ ADS-B gear have been successfully using an RTL-SDR and Raspberry Pi combination to receive ADS-B and UAT to display aircraft and weather data on an iPad. The first time we posted about this was back in August 2015. The full implementation uses two RTL-SDR dongles to receive both 1090ES aircraft position information and 978 UAT to receive weather radar information. 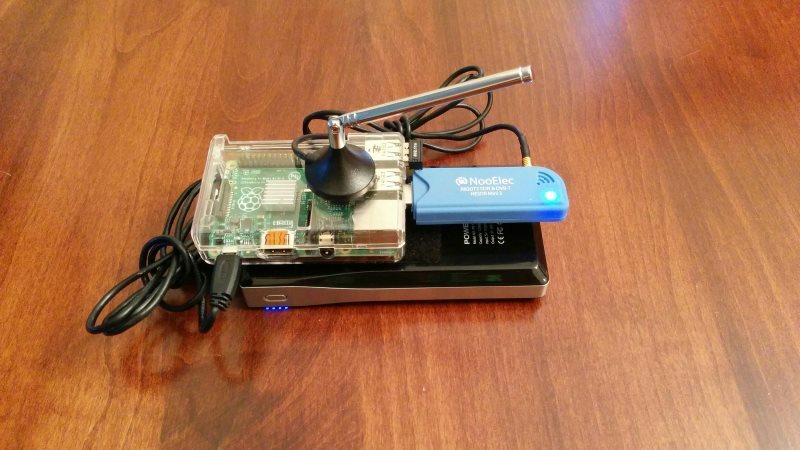 Both dongles are used on a Raspberry Pi mini computer that runs a program called Statrux. 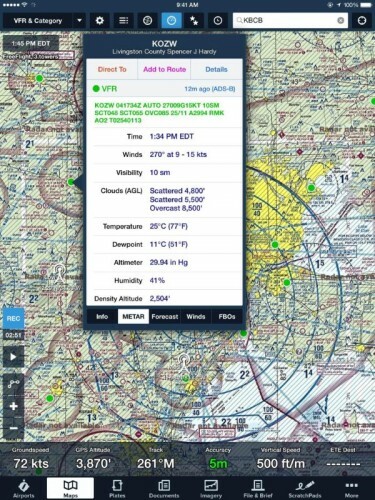 Stratux takes the ADS-B information received by the RTL-SDR’s and re-transmits the data out via WiFi. Then an iPad running special pilot navigation aid software such as ForeFlight can interface with the WiFi signal and receive the ADS-B and weather information. 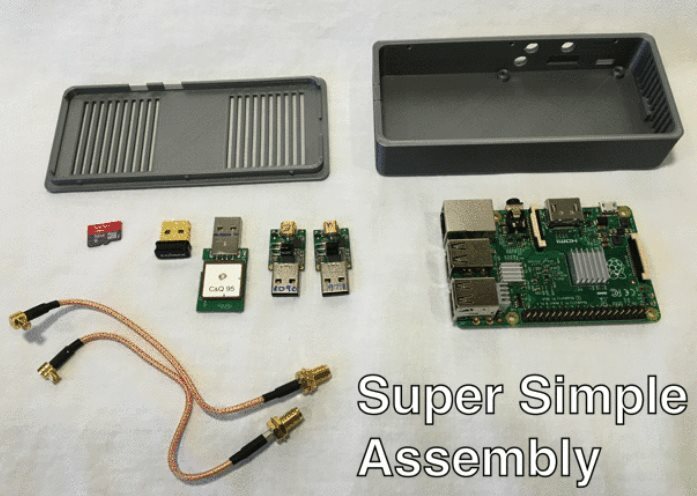 Assembly of a Stratux box requires the purchase of each individual component or a Raspberry Pi kit that includes the stratux software image on an SD card, RTL-SDR and WiFi adapter. However, setting up a Stratux box may be a little difficult for pilots who do not have any electronics DIY skills. To solve this, a new product called FlightBox recently ran a successful Kickstarter campaign. 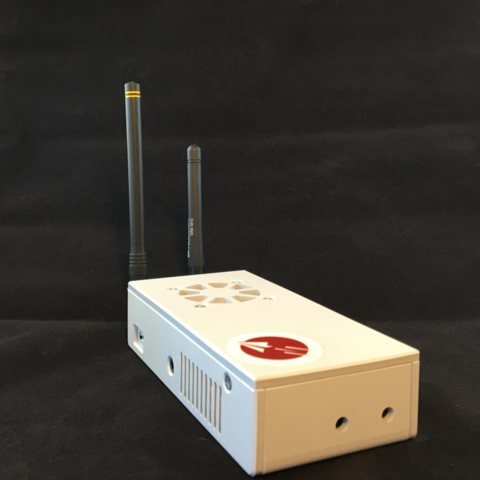 FlightBox provides a ruggedized plastic case, a Raspberry Pi 2 preloaded with software, two nano RTL-SDR dongles, two pigtail adapters, a 10Hz WAAS GPS module, and two customized ADS-B whip antennas (one for 978 MHz and one for 1090 MHz). The FlightBox costs $200 for single band operation and $250 for dual band (1090ES and 978UAT). They are currently accepting pre-orders for delivery in late March/April. For more information about Stratux see the active discussion forum at reddit.com/r/stratux. The FlightBox: An RTL-SDR based ADS-B 1090ES and 978UAT receiver for Pilots. Components used in the FlightBox, including two nano RTL-SDR dongles. In most of the world aircraft use the ADS-B standard for location tracking which transmits at a frequency of 1090 MHz. However, in the USA there is the option for aircraft to instead use the Universal Access Transceiver (UAT) protocol which transmits at 978 MHz. UAT has some extra features for pilots compared to ADS-B. In addition to location information UAT provides a Traffic Information Service (TIS/B) which allows pilots to see what ground control sees on their traditional RADAR system. It also provides a Flight Information Service-Broadcast (FIS/B) which includes weather and other information. It seems that most small aircraft in the USA prefer to use the UAT system due to it’s lower cost and additional features. A few months ago an experimental version of dump978 MHz was released which is what we believe to be the first working UAT decoder for the RTL-SDR. It’s still in experimental development, however the FlightAware team have already referenced it for developing their Android ADS-B app which we posted about a few days ago. 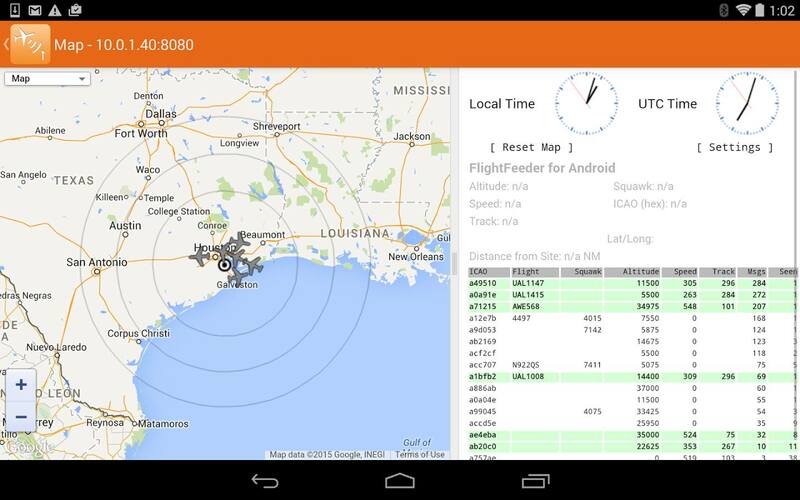 Because of the work done with dump978, the beta version of the FlightAware Android app has recently been updated and can now support UAT decoding. To download the beta version with UAT you may need to sign up to their public beta. More information about the beta can be found on their Google+ beta testing community page. FlightAware ADS-B App which now supports UAT decoding.